Returning members may log in and access our information. Anyone not previous registered with our organization will need to register and then log in. Name of Person to Register: (ie John Smith) eMail: Affliated with Club: Please select a club or Referee (if registering as a ref)Register as a RefereeAncaster SCBolton SCBrantford City SCBrantford Galaxy Youth SCBurlington SCClarkson SCCLUB-HWDSBCroatia Hamilton SCDundas United SCEast Hamilton SCErin Mills SCF.C. 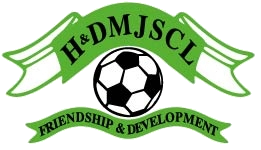 SchalkeFlamborough Dundas SCGeorgetown SCGlanbrook SCGlobe FCGrimsby SCHaldimand Youth SCHamilton & District O/T SCHamilton Men`s Inter-Church Soccer League-ClubHamilton Polonia SCHamilton Serbians Youth SCHamilton SpartaHamilton Trinacria S.C.Hamilton Wentworth Catholic District SchoolsIraq F.CLincoln SCMen`s Interchurch SLMilton ScMount Hamilton Youth SCNiagara Falls SCNiagara United FCNiagara-on-the-LakeParis FCPelham SCSaltfleet SCSaltfleet Stoney Creek SCSir John Colborne Youth Soccer ClubSons of Italy Hamilton FCSt. Catharines Jets SCSt. 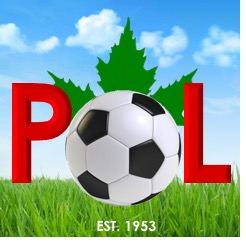 Catharines Roma SCThorold Soccer ClubVasco Da Gama SCWelland SCWentworth Arenas Senior OutdoorWest Hamilton Youth SC A password will be emailed to you. To log into HaDmin use the email address you registered with the OS utilizing Referee Center. Your password for HaDmin is your OS Number. We recommend you change your password in the Profile Module the 1st time you log into HaDmin. NOTE: if your OS Number begins with a 0 (zero) your password will be your OS Number WITHOUT the 0 (zero). NOTE: for those registering as a referee for the upcoming season, by submitting this form you are confirming that you have properly registered with the OSA for the upcoming season and are not currently under suspension. Once the login credentials you have provided are validated, you will receive an email confirming your registration status for the upcoming season. The following games have positions open. If you are interested in applying for the game, please contact the assignor via the provided email.